The only Canadian baking industry trade show & conference in 2019 to see, touch & taste the newest & greatest baking ingredients, equipment, packaging, services and technology for bakeries, cafes, food service and baked goods. 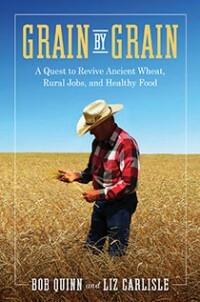 Throughout 2019 Bob Quinn and Liz Carlisle will present and speak about their recent book Grain by Grain. Follow the link for book tour event dates and to order the book. North America's leading Trade Show for the natural, organic and healthy products industry.